I was searching for a reliable hosting provider for my Java applications, by looking at the price I went for MochaHost. 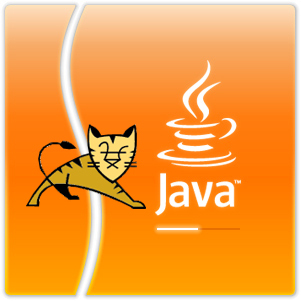 They have shared Tomcat where you can deploy a single web application. Initially everything looked good, but slowly issues started with my account. I faced many issues with their service, they claims they have 99% up time but in reality it is less than 60%. Most of the time my website was down, sometimes because someone restarted Tomcat, most of the times because of other server related issues. Their service desk normally reply to tickets only after 2 days, and what you recieve is a pre-formatted reply. The filesystem mounted at /home/blabla on this server is running out of disk space. cPanel operations have been temporarily suspended to prevent something bad from happening. Please ask your system admin to remove any files not in use on that partition. My plan was unlimited bandwidth, unlimited disk space, I mailed their customer support(there is no toll free number, no phone number at all), it took four days for them to fix their disk space issue and my website visitors were seeing the above message all these days. clients hosted on the same server. solutions and free setup and starts at $23/month. We do appreciate your prompt response and cooperation. Please let us know if we can be in further assistance. It was a pre-defined template, their trick to make their customers upgrade to highly priced plans. Nothing was mentioned about the app or process which was consuming more resources! Again I mailed them asking the details and a request to remove the suspension so that I can look in to the issue. They replied saying a cron job is consuming 90% of their CPU! I was having only a Joomla based website with 50-100 visitors a day, a cron job which runs every 5 minutes, consumes maximum of 0.01% of CPU in my 2GHz desktop! There was nothing mentioned about bringing my website back! It was almost 48 hours my website was down and no action from my hosting provider to bring the website back to service. I was totally frustrated and decided to move away from this un-professional service provider. I din't have a backup, so I politely asked them what should I do to un-block my account other than upgrading to a different plan. They replied saying if I remove the cron jobs they will activate my account. But how can I remove the cron jobs without logging in to my account? I realized the people sitting there know nothing but only copy+paste from their knowledge base. After couple of replies, finally they activated my account! Remember, each reply takes a minimum of 2 hours, and your website will be down all these days. I started searching for a new professional hosting provider, fortunately came across a blog post about WebFaction. I visited their website, it was totally different from what I have seen with other providers. Options were very less, no unlimited bandwidth, no unlimited disk space, no free applications, no cPanel, no Plesk, but yes, they have a unique feature which no other hosting provider has, complete control on shell access! They have a simple control panel through with you can configure domains, applications, emails etc. Also you will get complete access to SFTP and SSH access to your home directory where you can install whatever tool you want. Your applications will be allocated a 80MB memory, so no need to worry on the shared environment. Now I have complete access to the machine where I hosted my website, and no worries on any technical issues. I had some issues setting up my Domain, the technical team proved they are experts in what they do! If you need any info about how I configured my applications with WebFaction, just post your query here. Also read Host your website for free! This hosting will help you to run the most appropriate scripts that can make you website dazzle with Beauty. Its because all of their servers are oversold!